Clock looks cool but it does not tell metric time (despite being advertised as such). Metric time has 10 hours in a day, 10 minutes in an hour and 100 seconds in a minute – this clock does not. I had one for my birthday (and a replacement) and truth be told the time is fairly random. Seems to run at about twice normal (base 60) time – probably. So it’s cool if you want a gimmick; deeply disappointing if you’re a committed geek. HI Petipal, thank you for your feedback. I do apologize for the inconvenience, at one point all of my designs for the Metric Clock Face had a disclaimer noted in the artist’s description that the Metric Clock runs on a standard 12 hour cycle and the Metric Face was only decorative. At some point the powers that be at RB saw fit to remove the disclaimer (I am not sure why – I am re-adding it and checking the other versions). 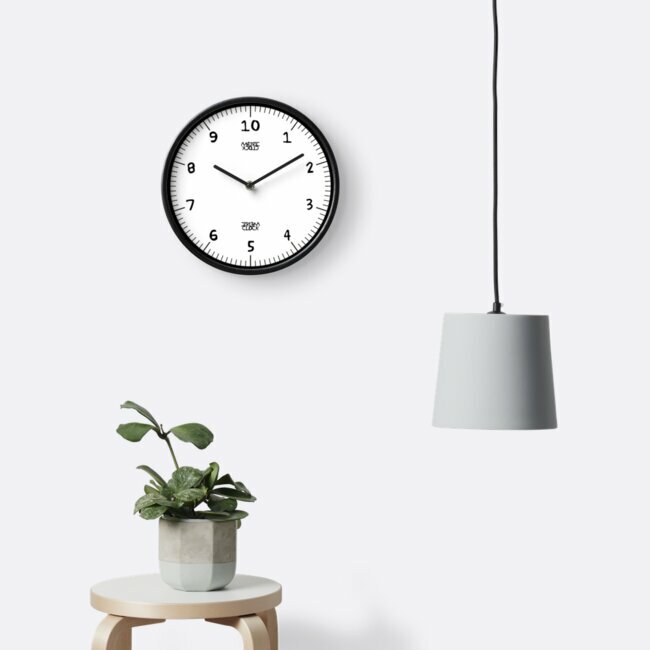 I am sorry I couldn’t provide a true Metric clock, I too am on the hunt for one.